If you’ve already purchased a Professional or Enterprise subscription, there’s no need to buy another. Just add a tier representing the number of remote computers you own or manage to your existing subscription at any time from the Billing page of your RealVNC account. 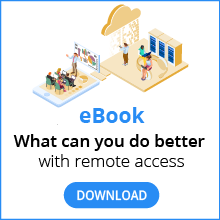 Once your subscription is enabled, follow these instructions to install VNC Connect on remote computers and get started. If you have a trial, device access is already available, and you are entitled to install VNC Connect on up to 10 remote computers.